A lot of you might say: why manufacture a part that is already available. You are right and more if you can get your hands on this parts easily. Unfortunately this magazines are very hard to get down here. I can always buy them online but cost once shipping and taxes are applied are very high. And there is the matter of "lost" mail in my country. So I think, why not manufacture them for my personal use. I have been working with reinforced plastics and molds for prototypes and sculptures so I thought I would try it. The idea was not to improve or modify a design that works. The concept is just to make them one at a time at a relatively low price and make them disposable so I could carry them and in case one gets broken or lost it would not be a big deal. I expect them to work at least one time but if they last more times I will be more happy. Procedure is very straight forward. 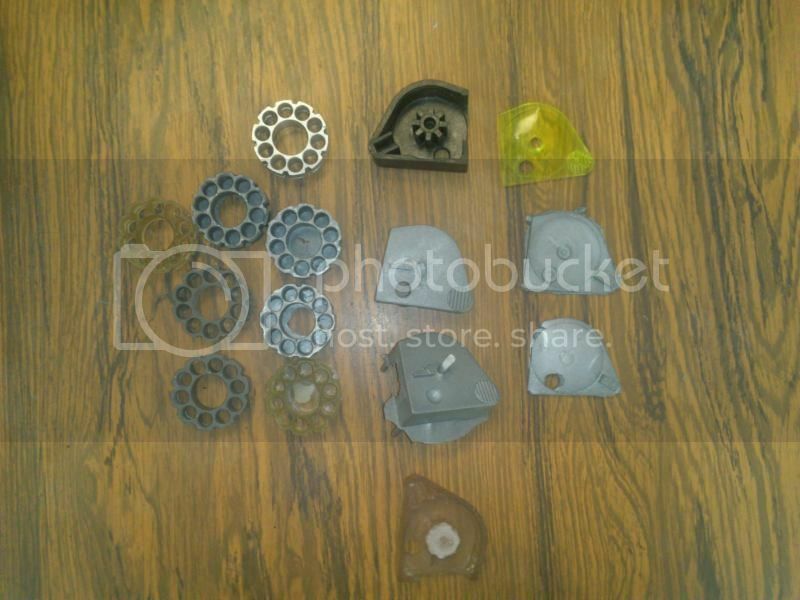 1. make the moulds for casting. 3.Finish them and test them. So I am in the second step now. I have already done some parts. Some good, others very bad. Sometimes I get bubbles in the casting and sometimes the plastic will not react and stays all gooey and have to clean the mould to start again. Parts are made out of poliesther resin with fiberglass dust to reinforce it and epoxi resin with alluminum dust. Poliesther is cheap, produces rigid but sometimes brittle parts.Problem is that parts can shrink a little bit so finishing the part is more time consuming. Epoxi with alluminum can be more expensive, take longer to cure and sometimes will not cure completely. 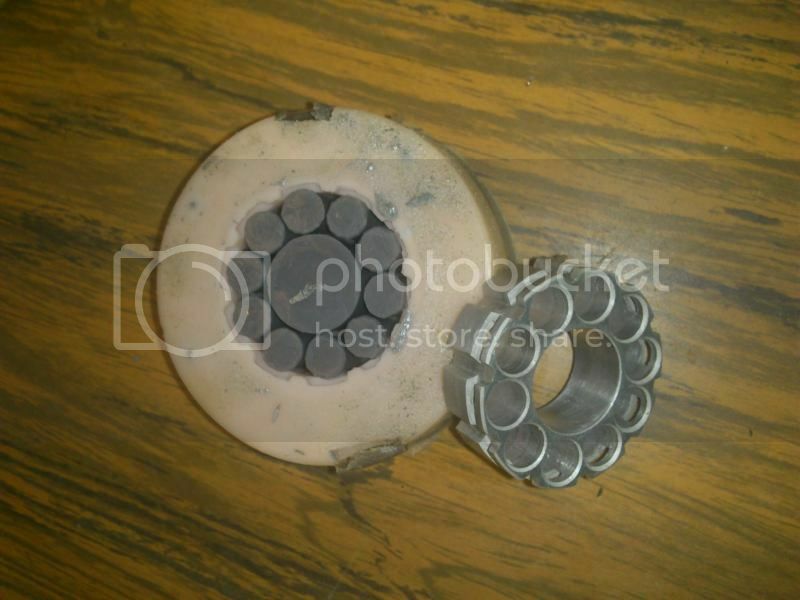 Difficult to cast because it is a thiker material so centrifugal force is a must to fill the mould. But when everythig goes all right the parts can be very rigid, tough and almost feel like metal. Abrasion resistance is outstanding. Low shrinkage. But so difficult to use. Problem with resin is that they work very good when mixing big quantities like 200grms or more. But when you have to make a part that weights maybe 10grs the challenge is great. I will try to include some pictures so you get an idea where I am now. Some good parts, others not so good. That is the name of the game, keep trying until you get things right. This is the mould for the cover that will be cast with translucid poliesther. The housing just being released from the mould and ready to be finished. As I advance in the proyect I will be posting. Casting can be an effective way to produce parts at a reasonable cost . You can produce a lot of parts using this kind of method. I envy people that have access to other kind of materials. We used to get our hands on resins that where made by Ciba Geigy and were spectacular. If you have suggestions or ideas to complete the proyect or on materials I would really like to hear them. PD: Sorry if I do not write some words correctly but my english is kind of rusty! 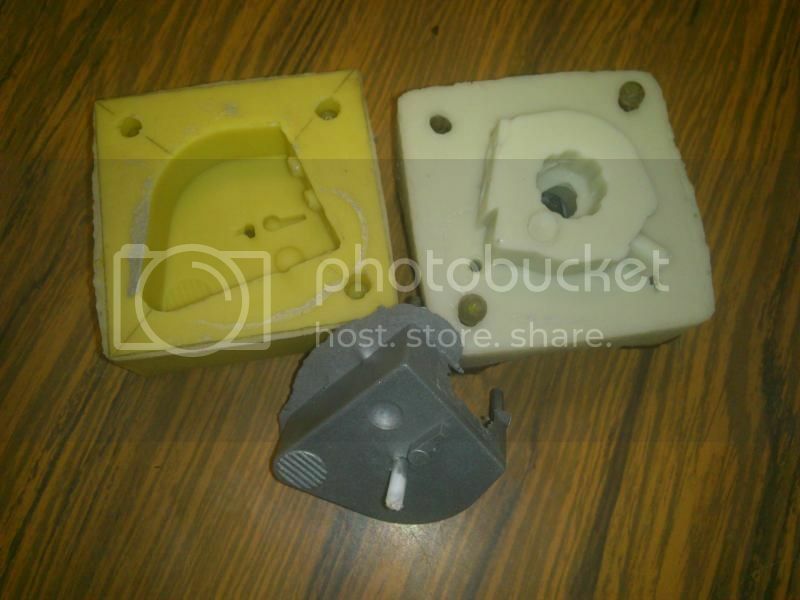 Kinkajou, how did you make the moulds? Wow. That is pretty darn cool. 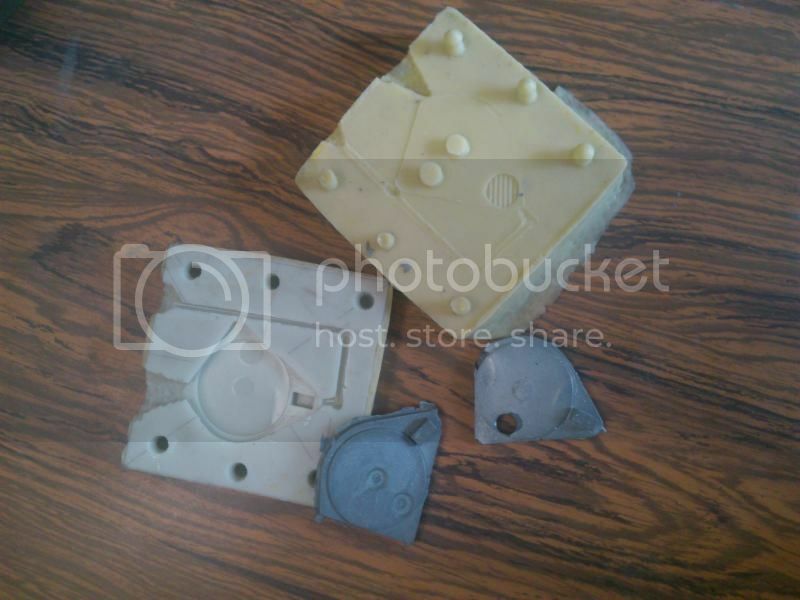 For this parts I thought that casting the parts with resin would be a good choice so the mould was made using silicone rubber. This material can be aquired in a liquid , more cream like . When mixed with a catalyst it will harden and will create a ruberr like material. Very flexible yet rigid enough to mantain the dimension. It will get all the details of the part you are doing. 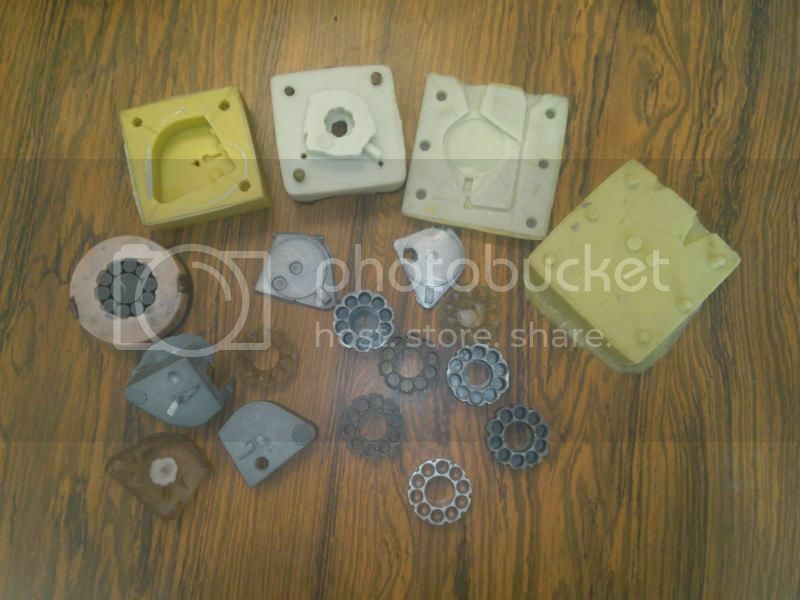 There are simple one cavity moulds or complex multi-part moulds. The difficult part is to think how the cavities will be filled with the resin so the material flows easily. Silicone rubber will get the detail out of really complex parts. It has been the material of choice to make such complex parts as artificial reefs for aquariums where the texture of the reefs is so intense. You can learn a little bit by looking at you tube on mould making for casting. It opens a new way to produce small quantities of parts at good price.